It’s been a blast guys. I’ve been trying to decide whether or not to keep pushing for my Inkshares goal, but I’m afraid this just isn’t the right fit for me. For those of you looking to launch your own book someday, I think they are worth considering and if you ever want to reach out to me personally I can help you navigate the pros and cons, and perhaps organize your publicity efforts. This is the last Reader Update I will be sending out, because after this I am going to ask that someone from Inkshares deletes my book’s profile page. I want to thank Inkshares and the other authors who have been genuine and kind throughout this competition. I hope you all find what you’re looking for in the way of publishing and community building. Your support has meant a lot to me over the last six or so weeks. I hope you’ll continue to keep an eye on Ophelia, Doll using the above methods as I work towards securing publishing. Thank you. Well ladies and gents, it doesn’t look like I can build momentum enough to retake a Top 5 position by the contest’s close tomorrow. I’ll make an official announcement in the morning, but based on my projections at the current rate of competitiveness, I would need 100+ votes in the next 24 hours and I’m just tapped out of drums to beat. I want to thank you all for helping me as much as you did, no hard feelings here, just pure unadulterated gratitude. I have no right to expect anything from another person, a self-defense mechanism adapted to protect against being let down. With that said, it only makes the successes you have been laying on me that much more potent. I really can’t leave this contest feeling like a loser. I’ve stayed in the Top 10 out of 300+ other authors for the entire 6 week duration, I’ve launched this Ophelia, Doll Facebook fan page that already has more friends than I do personally on Facebook. Two days ago, my pharmacist recognized me in a coffee shop and said she was so excited that she heard though Facebook somehow that I am an author and that I’m launching a book- she said “It’s like finding out that someone you know is a super hero!” It was hard for me to accept such a nice sentiment in the moment and I’m afraid I bumbled the interaction completely, so if you are reading this Christina, thank you and I am so grateful for your kind words. A week before that, the pizza guy on my doorstep said that a friend of mine at the local video game store gave him a flier and he would make sure that his sisters saw it because it looked like “their kind of book.” The thought that my book is anyone’s kind of book is a beautifully overwhelming thing that you have all forced me to admit to even my most doubt filled, pessimistic self. That’s really what has me going into losing the battle with any semblance of sanity. I know there is an audience, a greater war to win, a group of people that care enough to band together with no forewarning whatsoever. I have big plans on what to do from here, so I hope that you’ll stick around. Even more, I hope you’ll share with those who you think might be interested in reading my story- get them to like the Facebook page. You should be able to click a button on the top of our page that lets you slide through and click all of your potentially supportive friends easily and send them a request to join the Facebook page. For the time being, this is the easiest way for me to keep you guys updated with news and announcements surrounding Ophelia, Doll (maybe some blog posts?). I’m also planning on using this to stay connected with my supporters as I write my next book, which I just started yesterday. It’s still in developmental stages, which means that there will be lots of times that I will need some outside opinions, and I couldn’t think of a better bunch of people to ask. Thank you all for everything you’ve done for me. I hope you have the best Tuesday ever! Wow guys! What an amazing performance by you all! Thank you so much for the surge in orders! Going into the weekend, I was thinking of how much love I have for this group of people- many of whom I don’t even know in real life! Today my “ask” is a pretty easy one, I think. 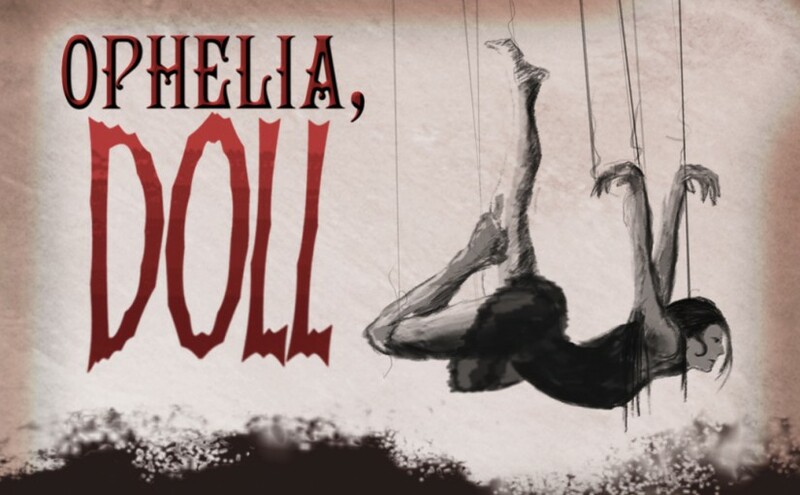 You know, I never really made a push to get people to like the Ophelia, Doll Facebook page, it just popped up as a necessity of the contest and before I knew it we had more than 200 followers! I know many of you (like myself) are gun shy when it comes to asking for people to invest their hard earned dollars, so today I’m asking for a different type of support that doesn’t cost a dime! Can you help support my book by asking your friends and family to like the Ophelia, Doll Facebook page (https://www.facebook.com/OpheliaDollBook?fref=ts) ? This way, even if I don’t win the contest, I’ll have a hefty group of people backing me as I shop the book around to other publishers. The best way to help direct people to our page is by either sharing the post I made today and tagging those among your FB friends that you think would be most interested, or just tagging them in the comment section of the post itself! See! Simple! I can’t think of the number 300 without conjuring to memory visions of bronzer-soaked, greased up Spartans rising to fight the God-King Xerxes and the whole of his Persian Empire. That image of perpetual bad-assery is nothing compared to the accomplishments of MY army, and now the number 300 holds an even more impressive, special significance to me: It’s the number that makes my knees weak and my heart fall into my guts, like a rock dropped into the ocean, making a splash that grows into waves that are felt even by the faraway shore. 300 is the number of individual people who have contributed to the success of my book’s pre-order campaign. That number is more impressive to me than the fact that such a hefty sum is only good enough to keep me in 8th place during this grueling, patience draining trial of emotional grit and fortitude. The good news is that I am not beyond hope. The scary news is that you are the wardens of that hope- the keepers of my heart’s flame. Many of you have been throwing gasoline into that roaring inferno for the last five weeks and I thank you for having kept my soul so well fed. It makes it more challenging to admit how utterly at your mercy I am, but the simple truth is that I can’t do more than ask others for help- that’s the foundation by which this contest is built. At the end of the day, this competition is not about my writing. It’s not about the size of my dreams in comparison to the rest of my Inkshares peers. This contest boils down to one thing: the people that I’ve asked for help doing more than the people other Inkshares authors have asked- or at least enough to bring me into a Top 5 position out of about 300 (there’s that number again!). In order to win this contest, I need you all to do even more. I wish I could just push this boulder up the mountain through sheer force of my own willpower. Somehow that’s more within the parameters of my character than panhandling my way across the internet, less vulnerable I suppose. But with less than a week to go, that just isn’t going to cut it. My effort is in the asking, and after five weeks of being showered with more than I feel I should ever be allowed to deserve, begging for more feels like opening a vein with a jagged, rusty razor. Please, if you know anyone that would help you out if asked, pass this on to them. I need you to spread the vulnerable position of asking another human for their hand in order for me to make it back into the Top 5 within the next 6 days. If you have a spouse, parents, friends- anyone who you think would be willing to do me a solid by doing you a solid, please take the time to ask them on my behalf. Hell, if you’re feeling especially ballsy, ask people who you think may NOT take the time- you’d be surprised. I certainly was! I’d be about 295 orders shorter if it wasn’t for people who didn’t owe me a damn thing stepping up to pledge their support. A new incentive chapter has been added to commemorate hitting 300, which is truly a milestone that belongs to you, not me. Please ask 2-3 people to consider supporting and if money is the only thing holding anyone back, you should know that you won’t be charged the $10 unless I win and there are ways of getting discounts on your order if you want to contact me directly to work out what those methods entail. I feel like advertising the discount potential goes against the spirit of the contest, so I don’t want to promote it publicly (even in desperation), but if someone cares enough to ask, I’ll take that as a sign that your interest in supporting the book is genuine enough to warrant sharing that information directly. The words “thank you” don’t seem like a strong enough sentiment. I love you is more like it. And I do. But also thank you.